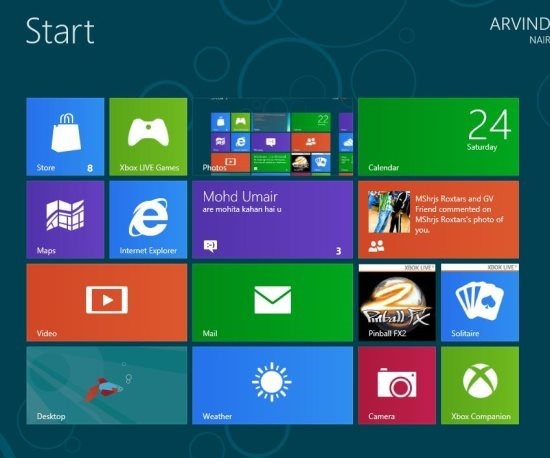 Here is a quick tutorial on how to switch between apps in Windows 8. The new Windows 8 apps are very much unique and different. We can’t deny the fact that Windows 8 is tricky and requires some learning, which means you need to grab information thoroughly to access Windows 8 properly. Windows bring you lots of pre-installed apps like Video app, Music app, News app, Maps app, Mail app, Photo app and much more. We had seen different apps are launched and closed. Here is a tutorial that I would like to tell you “How To Switch Between Apps”. But before that, also check out our post on how to enable safe mode in Windows 8. To switch between apps in Windows 8, you have to first of all launch apps. It will Keep tapping cycle of screens, release the (Windows) key to open an app. Scroll and click with mouse to open the desired screen. Press Ctrl + (Windows) + Tab key. Then click any tab, which you want to get opened. Move the pointer to top left corner and see the recent apps opened. This will be shown like thumbnail popup. Then, click on any opened to switch upon. These are steps to switch between one app to other. Go ahead and try out yourself..!